The ultimate goal of Lean Manufacturing is to eliminate these wastes to increase productivity. Any activity which does not produce value for an end customer is written off as “Muda,” the Japanese term for the same. These types of wastes make sense in a physical manufacturing operation, I started thinking about how reducing waste applies to “knowledge work.” In Knowledge Work the objective is to turn raw data into insight which helps drive intelligent business activity. A close relative is Creative Work, which seeks to entertain, convince or perhaps provoke through the use of artwork. A stack of survey can be processed into a marketing plan or feature for a product. A museum of classical paintings can be interpreted into a new form of graffiti. In these ways and more, knowledge and creative workers process data into results. Given that knowledge workers aren’t moving boxes or dealing with inventory, we have to look elsewhere to find waste. Knowledge Work involves working with data – Therefore, the chief sources of waste in Knowledge Work come from finding, categorizing, analyzing and moving (or otherwise processing) data into new configurations. The less unnecessary moving, searching, sorting, formatting, shifting and analyzing of data the better. The less time you spend tweaking a drum loop, the less time you spend formatting a presentation, the less time you spend writing code, the less time you spend inventing a business model the better. While thinking about waste in Knowledge Work, it occurred to me that one of the biggest problems I have have seen personally is people’s innate desire to inject unnecessary creativity or originality into their work. I can’t tell you how many times I have seen otherwise brilliant people awake for days attempting to format fancy Power Point presentations as though they were Steve Jobs tuning up for a keynote. Too often intelligent people with too many degrees rely too much on invention and not frequently enough on tasteful borrowing. Most “original” efforts would have been better spent had the creator started closer to their goal – using someone else’s work as a template for success. The programming community have latched onto this concept in a number of ways through the use of open source software and package managers which allow the rolling-in of “other people’s code” to solve one’s own problems. It’s the smart thing to do. The idea that originality is a requirement for creative success (whether that be producing a movie, music, artwork or product) is an almost religious belief within American society. The problem is that this belief is categorically false. Most successful products (or artworks) started somewhere, with something. If you don’t believe how common this is, take a look at the top 100 apps in a given App Store and tell me how many of them may be categorized as “Tower Defense.” Don’t even get me started about the top 100 songs on the billboard charts and scads of derivative spin-off movies clogging up theaters. Being as unoriginal as possible for as long as possible generally pays the bills. Creativity and originality, when employed to create something no one wants (or something that feels unfamiliar) or solve a problem no one has or to prove a new market, is mostly a waste: It adds no additional value to the lives of customers or end users. A great example of societies tendency to overvalue originality is this review of the song “Uptown Funk” by Bruno Mars and Mark Ronson. By all possible measurements, Uptown Funk is a tremendous success. With nearly 1.5 billion YouTube views, the track is estimated to bring in roughly $100,000 / week for it’s creators via Spotify streaming. The song, which borrowed extensively (or derived inspiration) from a back-catalog of electro-funk artists throughout the 1980’s, was not produced in a vacuum, it was “forked” from an existing line of creative work which hasn’t recently been in fashion. The problem is that listeners don’t care about individuality, originality, creativity…they care about being entertained. 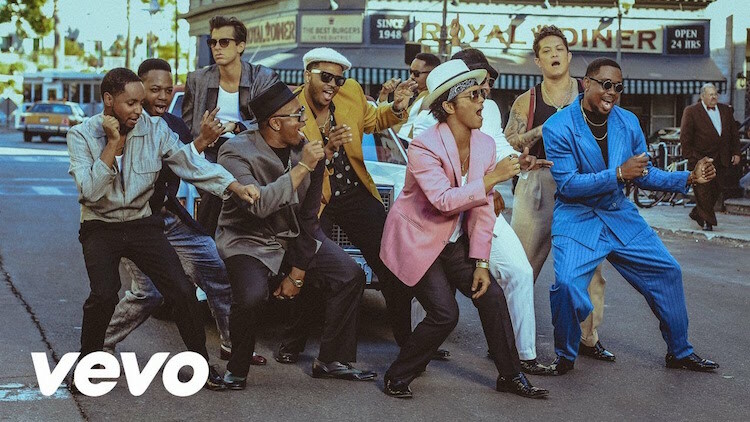 Uptown Funk makes people happy – So the questions remain: “What additional utility does originality add for a listener if they are already at the threshold of satisfaction? Any effort put into differentiating Uptown Funk from it’s original source materials is Muda in the most direct way – It adds no additional value to the listeners so they are unbothered by its “derivative” nature. I suppose I am not saying that there is no room for creativity or originality in our lives – I am saying that the way in which we employ creativity and originality needs to be made more effective, streamlined using common sense. Creativity which is used to either extend an existing solution (My Tower Defense game has wizards in it!) or to shift an existing solution into a new domain (My startup is Uber for cat sitters!) tends to be effective and efficient. Pick a starting point, a selection of retro songs, a found infographic, a list of competitive products, a speech given by someone famous – and customize from there. Don’t pull it out of your…imagination. If you want to be the one who is the first to visit the North Pole, prepare to lose a couple of toes to frostbite. You will be on your own in doing so in terms of risks and costs. The guy or gal who started at the same time as you from a proven starting point using working parts is probably going to win (and do it faster, more cheaply). Rather than focus on creating new ideas, knowledge workers should instead more often focus on moving and rearranging existing ideas from one place to another as quickly and efficiently as possible. Build success out of pieces which are already known to work, focus on weaving these together in new ways. That isn’t to say that creative borrowing or “idea forking” (to use GitHub terminology) is not without it’s downsides. The legal ramifications of taking such an approach to knowledge or creative work can be quite problematic: You might get called out, either socially or in the courts. The song “Blurred Lines” was the subject to vicious legal battles over it’s authorship while Uptown Funk itself is having problems of it’s own. Borrowing sloppily can be expensive. Which is why I am adding a 10th form of waste: Getting Caught Borrowing. So if you are going to borrow, do it properly. Give credit, innovate with the starting pieces and don’t cross the line into total theft (but do save yourself a headache and start…somewhere). Copyright © 2019 Rex St John | 雷克斯 聖約翰. Powered by WordPress and Custom.